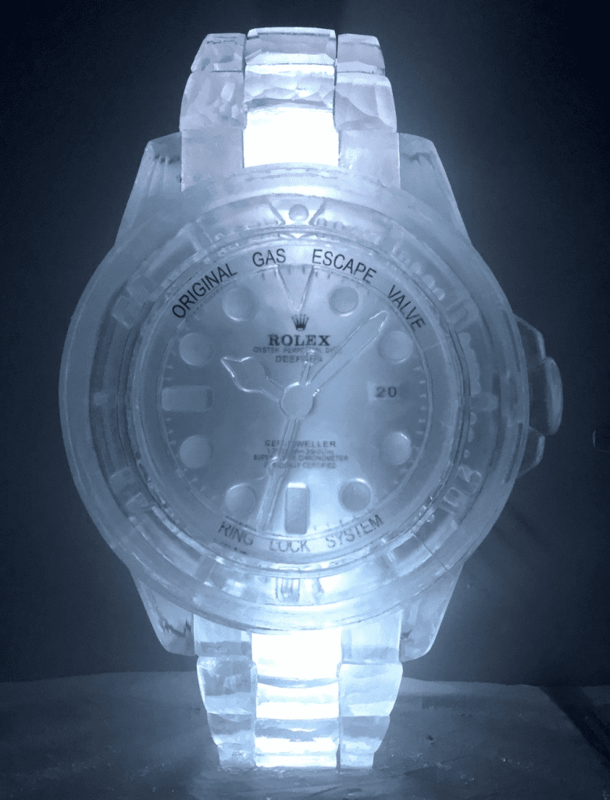 Ten years is a long time for a company whose major products last a matter of hours. 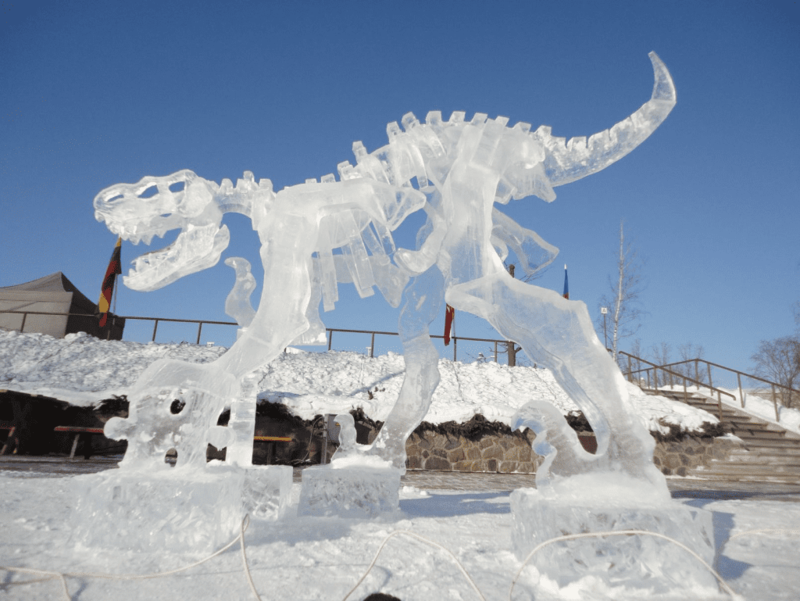 Since their inception in 2006, Glacial Art Ice Sculptors have grown rapidly, bringing on a steady flow of increasingly high-profile clients, and making a solid name for themselves in the ice sculpting industry. But how do you even start an ice sculpting business? Mat Chaloner and Mat Foster first met at university in Sunderland, where they were both studying Design and Model Making – a friendship was struck up almost instantly. 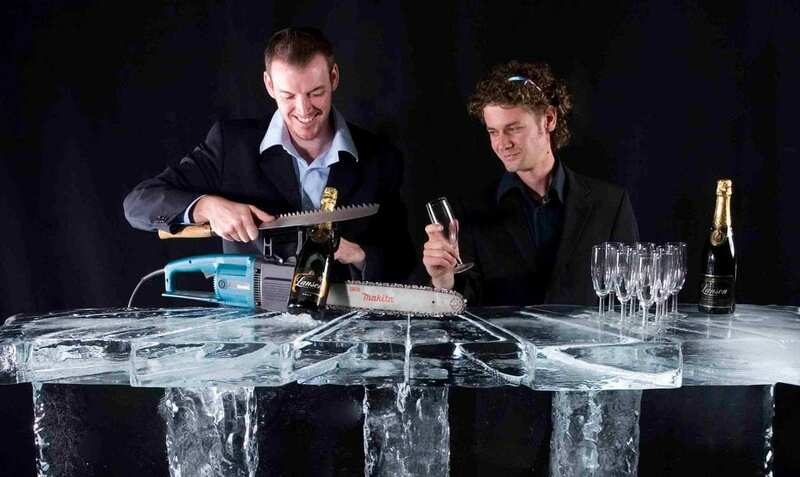 The pair moved to London, where Mat F worked for a Special effects company and Mat C took up an apprenticeship with a London-based ice sculpting company, giving him the opportunity to explore his abilities within the unique medium of ice. Together they worked on various exciting projects in London including ice effects on the film “King Arthur” and costumes for Angelina Jolie in the film “Sky Captain and the World of Tomorrow”. 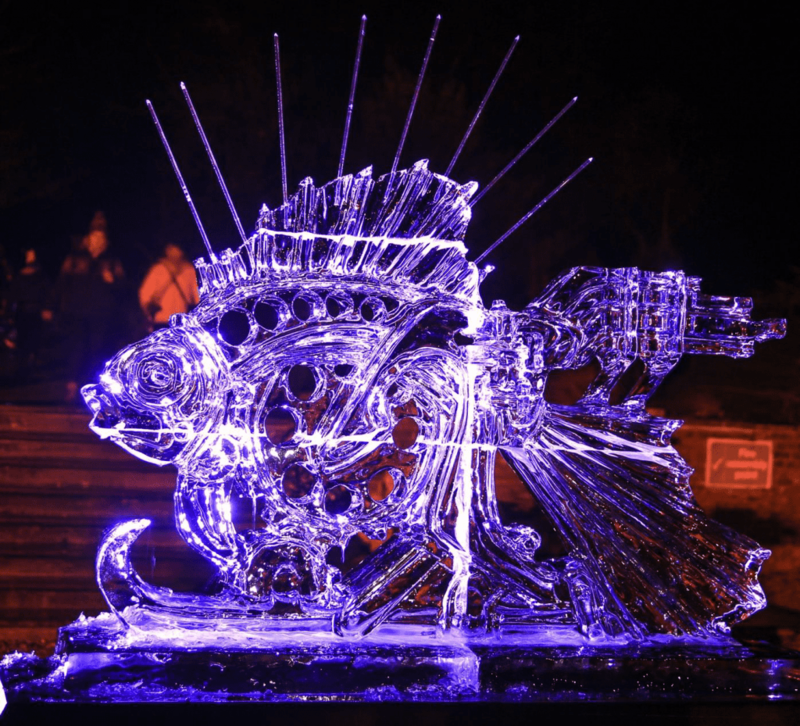 The world of professional ice sculpting is a competitive one, but one at which Glacial Art have succeeded again and again. 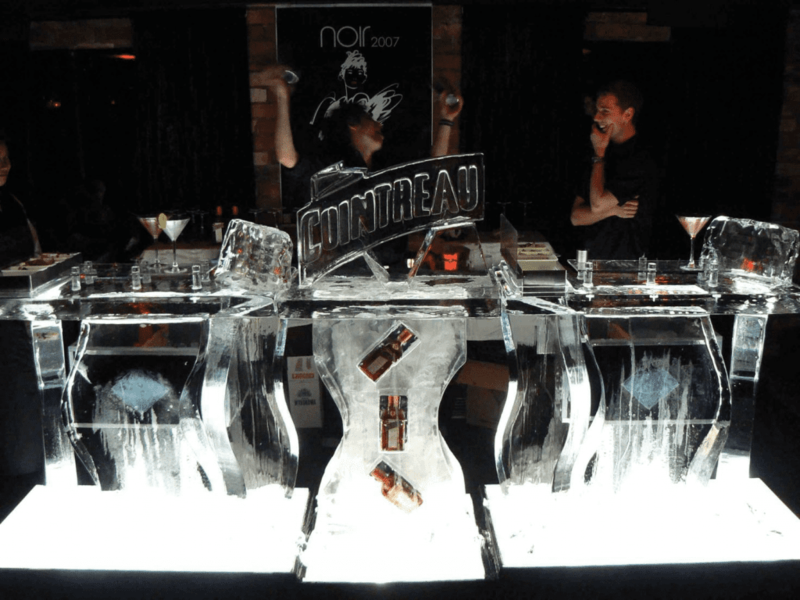 From live ice-sculpting performances in Kuwait, to working on pieces for Cannes Film Festival, and even walking away as winners of the European Ice-Sculpting Championships, there certainly hasn’t been a dull moment. Consistent work in the North West wedding industry has allowed the team to seek out new and exciting ventures. “We’ve had drinks with Quentin Tarantino,” tells Matt. “We have appeared on various TV shows. We have built an ice set for Game of Thrones!” Together, they’ve achieved more than they had ever thought possible. Working with HBO on Game of Thrones was almost certainly their biggest accomplishment to date – as big fans of the books and then the series, it was a personal victory as well as a professional one. 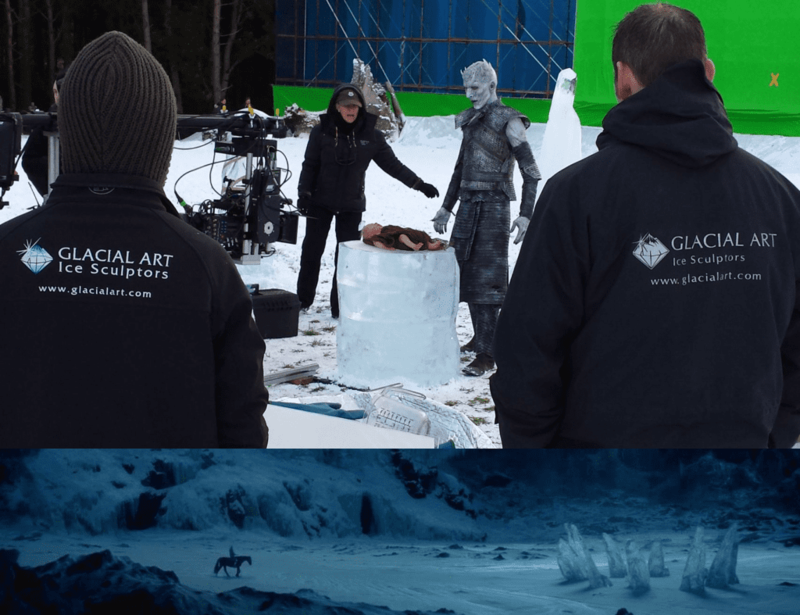 “It wasn’t a further step up on the ladder of our career – it was a completely new ladder for us.” Creating the monumental “ice henge” set piece for season four of Game of Thrones was hard work, which required the team to ship six tonnes of ice to Belfast. 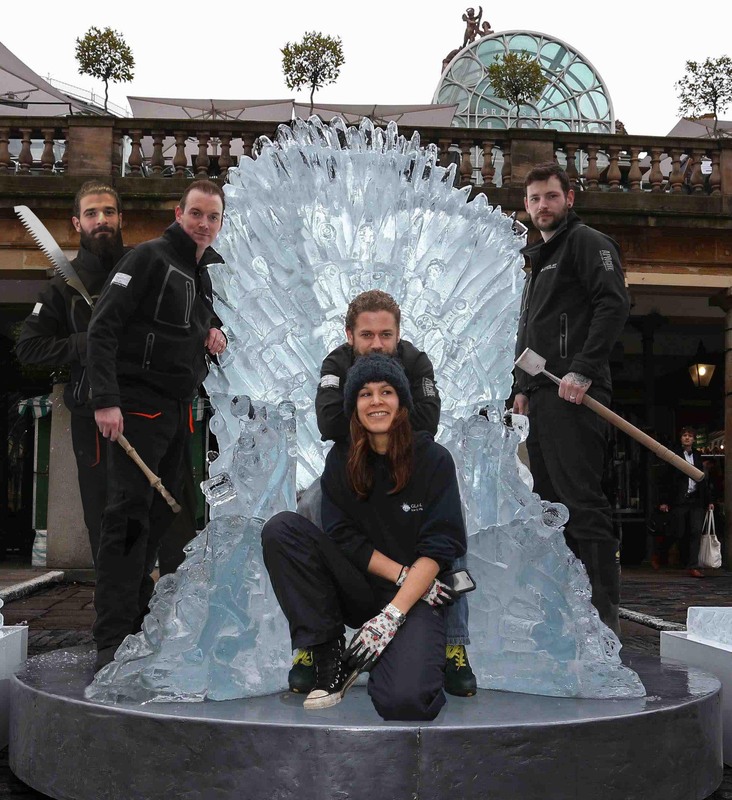 A year later and HBO was in touch again, requesting a promotional piece, which ended up being a life-sized Iron Throne made of ice in Covent Garden. 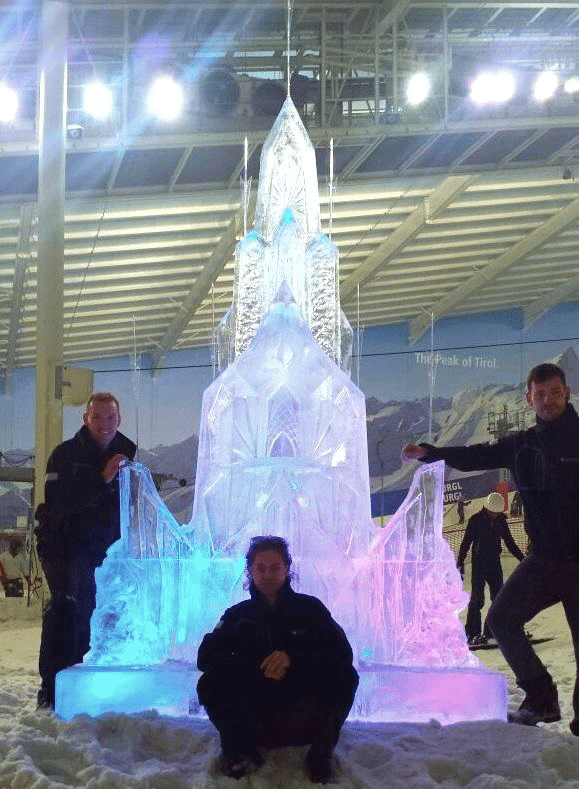 All of this has contributed to their current status as one of the leading ice carving companies in Europe – if not the world. As the friendship between Mat C and Matt F grew stronger and their business thrived, they realised they would need to take on more staff. “The biggest blessing we have received over the last 10 years is finding and training these two guys” – Attila Olah, who joined as an apprentice in 2009 and has recently graduated from Liverpool Hope University; and Paul Crawford who began working at Glacial Art as a delivery driver, and has gone on to become an impressive ice sculptor in his own right. The combination of the experts Mat F and Mat C with their promising protégés Attila and Paul means that Glacial Art now has a formidable team. With a solid foundation of work in the wedding industry across the North West and London, they have plenty of opportunities to expand, and to seek out more and more exciting commissions. Large PR firms and brands are regularly contacting the Glacial Art team to work on one-off events, such as the frozen Bench jacket which was shipped to Berlin for the launch of their flagship store. With their experience on Game of Thrones, they shouldn’t find it difficult to expand more into television and films either. Meanwhile, the reputation of Glacial Art is building around the UK. For the last four years they’ve been working on an ever-growing winter festival in York; last year they supplied sixty sculptures for the weekend, and this year it’s likely to be more. 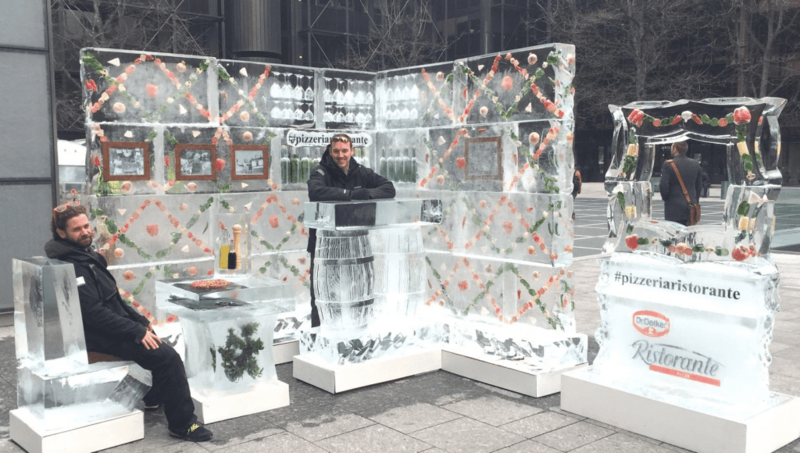 “Other cities have seen the success of this event and we now do similar events in Perth and Durham” – ideally Liverpool will follow suit, and we’ll be seeing their frozen artwork in more proliferation around the city. 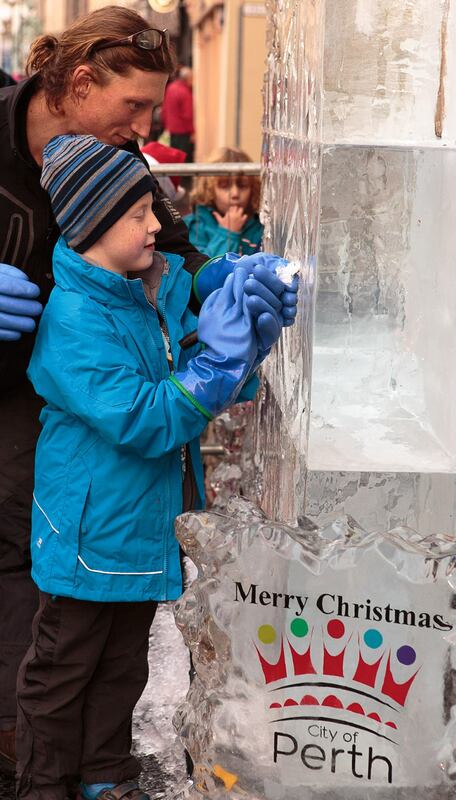 It’s a rather big question for the most ambitious ice sculpting company in the UK! 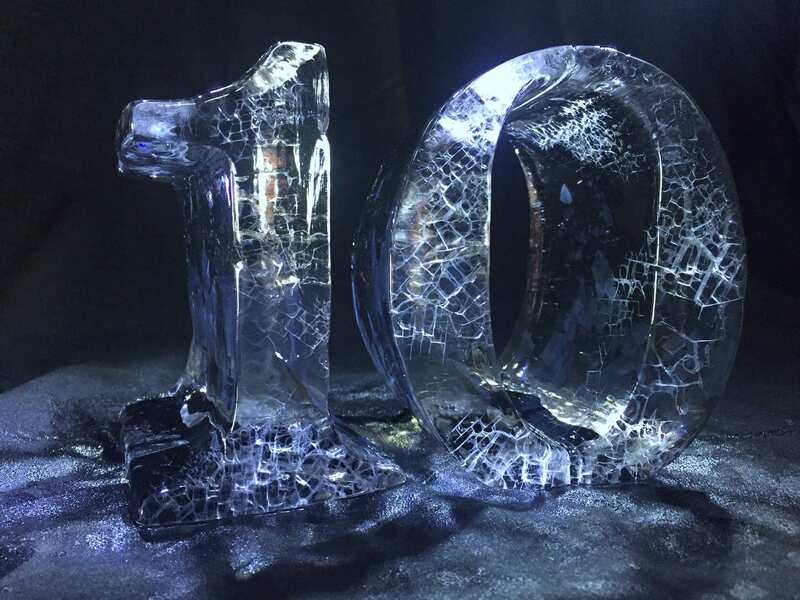 We asked the two Mats, Attila and Paul to choose ten of their favourite ice sculptures from over the 10 years they have been in business. This piece was 1m tall and 50cm wide. Blood, sweat and tears went into creating this piece: literally! Mat F chopped the top of his ring finger off while showing Attila how to cut a perfect disc – or rather how not to do it. Now that’s a lesson you don’t get taught in university! A special shout out goes to the beautiful lady at the front of the picture: Rachael Treacher, who worked for us between 2012 and 2014. She revolutionised our office practice and business communications – thank you Rach! This was for the launch of Bench’s flagship store in Berlin, and was used as part of their winter advertising campaign. 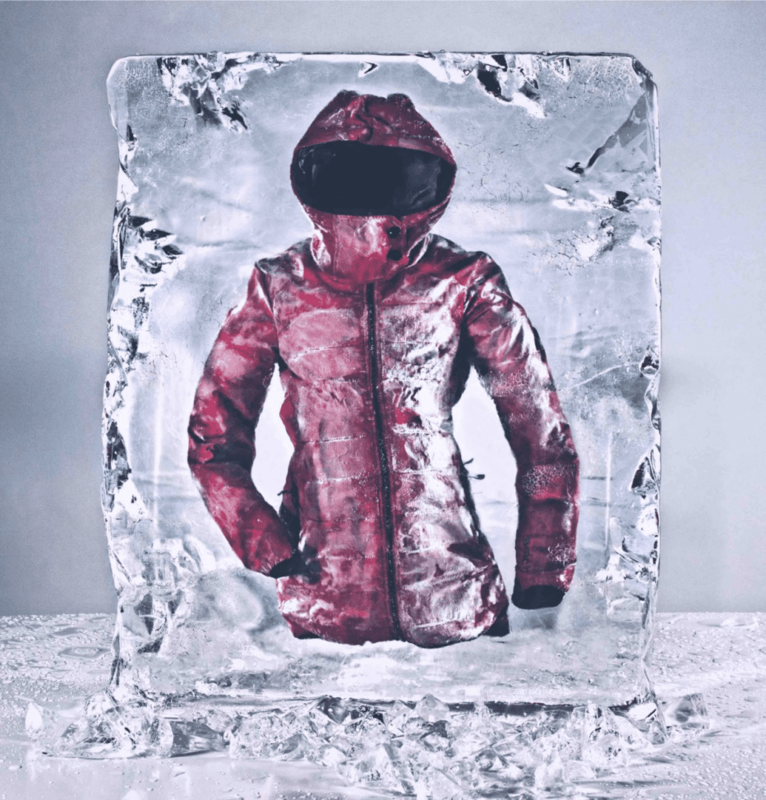 A 1m x 1m block of ice was formed and this winter jacket was “floated” inside it. Crafted and photographed in Liverpool before being shipped to Berlin. 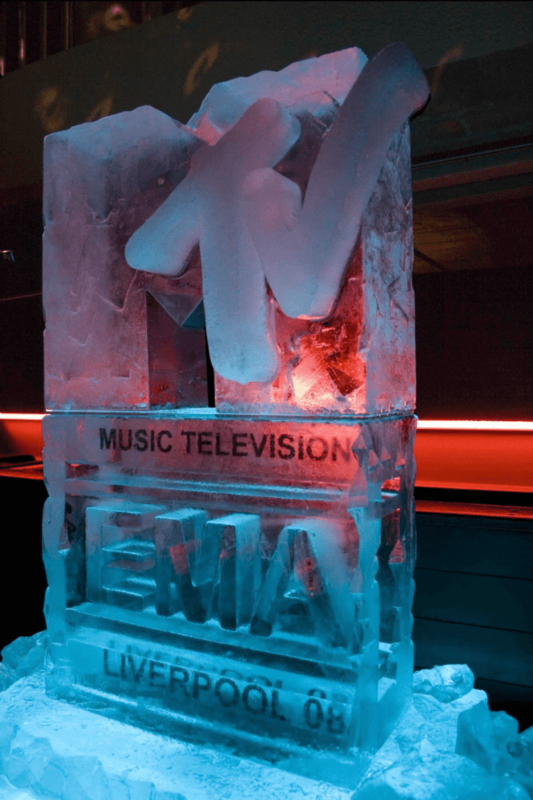 This is surely the biggest ice sculpture we’ve made to date! Dr Oetkers requested the corner of a Pizzaeria building for Liverpool Street Station in London, complete with chairs, tables and a bar. Real pizza ingredients were frozen into the walls. Overall it came to 4m x 3m x 2.5m, and required more than 4 tonnes of ice! Attila’s favourite sculpture to work on is a massive 3m x 3.5m dinosaur skeleton. Created for a competition in Latvia, the team had to work through the night with -20 degree temperatures to get it finished on time. This was Mat Foster’s favourite project to work on.